Soon families will be gathering around the fireplace, keeping warm and enjoying the ambiance. 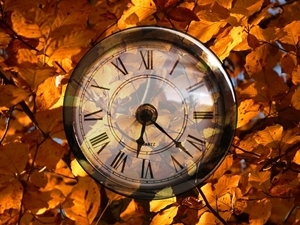 Fireplace and chimney season is quickly approaching. As a safety reminder, Wisconsin Chimney Technicians highly recommends a chimney inspection before the long, cold winter hits us. A chimney inspection is essential to any safety hazards, ensuring your family is safe all year long. Our comprehensive chimney inspection services range from visual maintenance to interior flue closed circuit video assessments. During a chimney inspection, our experienced chimney inspectors perform the most thorough chimney examination, ensuring every possible issue is found. Our inspectors examine your chimney and roof for any damages, leaks or harmful creosote buildup. These routine, chimney inspection procedures protect your home and prevent future costly damage. Our additional chimney services include chimney cleaning to remove debris, obstructions or built-up smoke residue. Any necessary Milwaukee chimney repairs can be completed by our Milwaukee chimney experts to ensure your chimney is ready to roar this winter. Wisconsin Chimney Technicians offer superior chimney repair services for any issues our chimney inspectors find. Whether you need chimney brick repair or a chimney flue repair, our chimney repair experts are highly skilled and will return your chimney to perfect working condition. 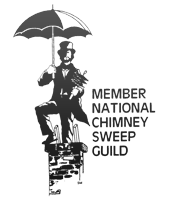 Our Milwaukee chimney experts have been sweeping chimneys since 1981 and have made a clear difference for homeowners. For a sound and safe working chimney this winter, trust the experts at Wisconsin Chimney Technicians. Don’t take any risks this year. An affordable inspection from Wisconsin Chimney Technicans is highly effective and will protect your family and home. The small price of a Milwaukee chimney inspection provides big peace of mind by preventing fires and carbon monoxide poisoning. Wisconsin Chimney Technicians offers a number of comprehensive chimney services to make sure your chimney is ready for this heating season. 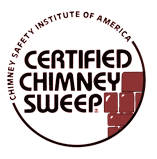 Schedule your chimney inspection today. Contact the Milwaukee chimney inspection specialists at Wisconsin Chimney Technicians and prepare your chimney for a long heating season today!